Robotic Effectors - Industrial Automation Specialists | IAS Corp. 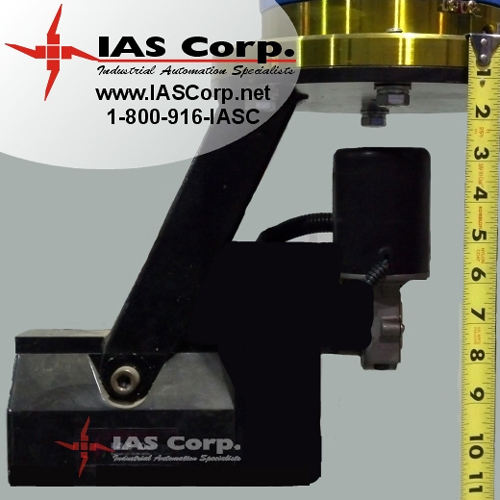 These complement our standard set of grippers, vacuum pickers, manipulators and other specialized robotic end effectors. This new line of effectors has been successfully demonstrated in the world’s first fully automated railroad turnout manufacturing process. In addition to designing and building the effectors, IAS Corp fully engineered, fabricated and installed this nearly football field sized process in Dallas, Texas. Clamping effector to remove steel plates from bins and placing them on a common conveyor. Talk to us today about your robotic effector needs and put our 23 years of experience to work for you.